On November 6th, 2018, Floridians will go to the polls. This year there are 13 amendments. This is an unusually large number of complex issues that will go before voters. The DEC has been collecting information about the amendments and will continue to offer information and guidance to voters. We hope that every registered voter will take the time to learn about the amendments and make an educated decision in the voting booth this November. 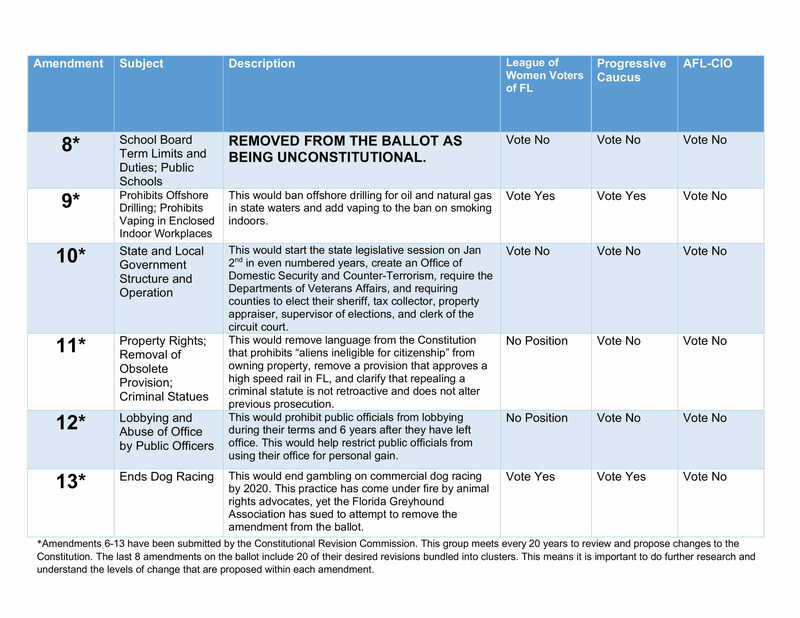 Here is a list of the amendments and recommendations made by a number of different organizations. None of these opinions reflect an endorsement by the Democrats of Indian River. 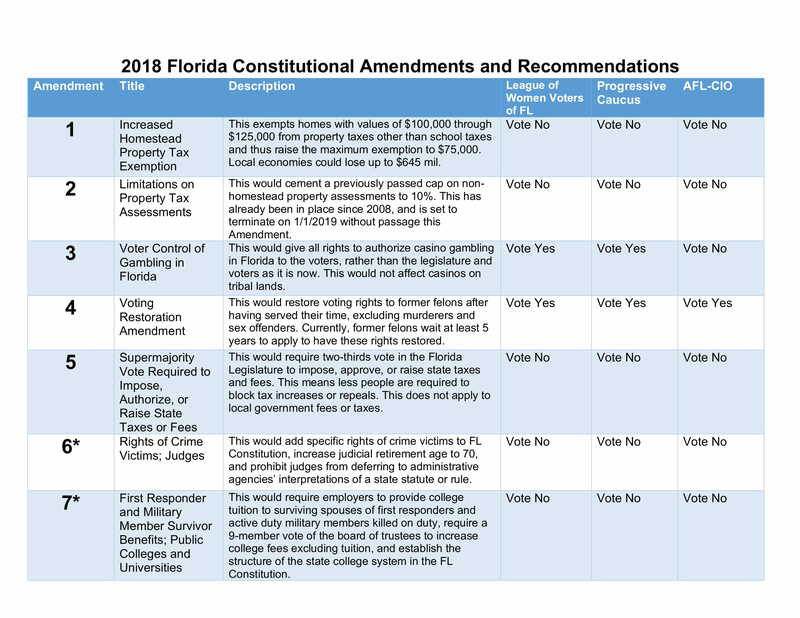 In addition, the Florida Young Democrats of Indian River have been offering a series of workshops on each of the amendments. To learn more, check out their facebook page to see the next presentation.